North Bay, ON – Fresh from a lengthy tour of the Maritimes, IAM Canadian GVP Stan Pickthall came back to Ontario for site visits at three IAM workplaces in the Gateway City of North Bay. Almost every member of IAM Local Lodge 2412 got to meet and talk with Pickthall. “We did a day tour of Seymour Windows and talked with everyone on the day shift,” explained IAM Grand Lodge Representative Ralph Martin. The site visits to the other IAM workplaces required 24 hour attention because of multiple shifts. 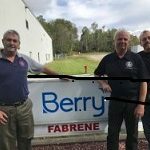 The tour also visited Fabrene Inc, which manufactures wide width coated and uncoated polyolefin products, such as housewraps, pool liners, interim landfill caps, lumber wraps, geo membranes and industrial packaging. “As you drive throughout Canada you see more and more of those membrane shelter covers for car ports, barn roofs and temporary garages and they’re manufactured by our members here in North Bay,” said Pickthall. Portraits of workers in the factory. Shallow DOF. Developed from RAW; retouched with special care and attention; Small amount of grain added for best final impression.16 bit Adobe RGB color profile. 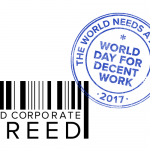 October 7, 2017 will mark the 10th anniversary of the World Day for Decent Work, a day when unions around the world unite in action for decent work. Access for all workers to quality jobs, dignity, equality, and safe working conditions. Putting workers at the centre of development and giving them a voice in what they do. This year’s global focus is on struggles to win living minimum wages and a pay raise for all workers. 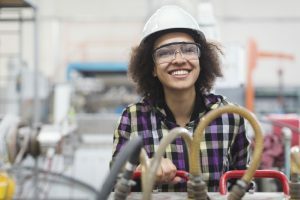 The Canadian Labour Congress has outlined steps Canada needs to take in a letter to Prime Minister Trudeau, outlining several steps the federal government can take to ensure better access to decent work at home and abroad. “We need federal leadership on decent work, not just so that we improve work for Canadians, but so we can set an example for other countries too,” said CLC President Hassan Yussuff. Ensure the creation of high-quality jobs needed by millions of unemployed, underemployed, and precariously-employed workers in Canada. Promote and uphold collective bargaining rights at home and abroad. Restore the federal minimum wage to $15 per hour, indexing it to wage growth, and bring back full employment as a primary policy target. Improve the Wage Earner Protection Program to better protect wages when employers go bankrupt or simply disappear. Introducing national due diligence legislation with a monitoring mechanism and an enforcement procedure for large companies. 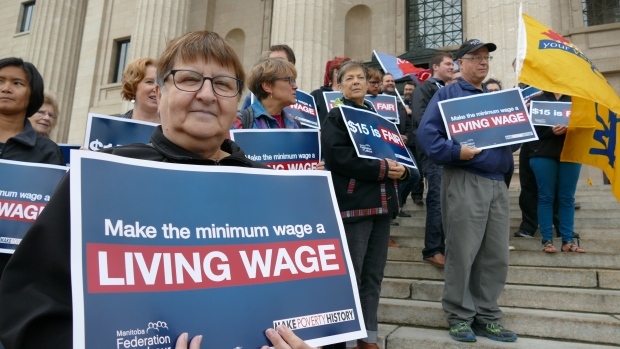 On September 19, 2017, community and union members joined together to tell the Pallister Government to increase the minimum wage to $15-an-hour at a rally hosted by the Manitoba Federation of Labour and Make Poverty History Manitoba. Nicole Dvorak, a minimum wage worker, shared her story and the challenges that her co-workers face to meet basic needs like rent, groceries, and other essential costs by working full-time at the current minimum wage. 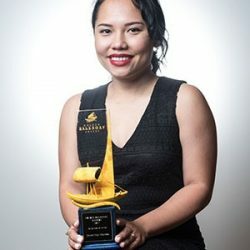 Manitoba NDP leader Wab Kinew committed that if elected in 2020, an NDP government would increase the minimum wage to a living wage over the course of its first term. 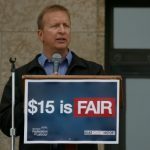 Liberal MLA for River Heights Jon Gerrard also supported the need to increase the minimum wage. Even though they were invited, no member of the Pallister Government showed up to speak. That’s not surprising. 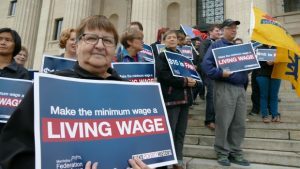 After the Pallister Government left minimum wage workers $400 poorer by freezing the wage last year, it is set to increase by only 15 cents on October 1st. That just isn’t good enough.